What is the Chamber? 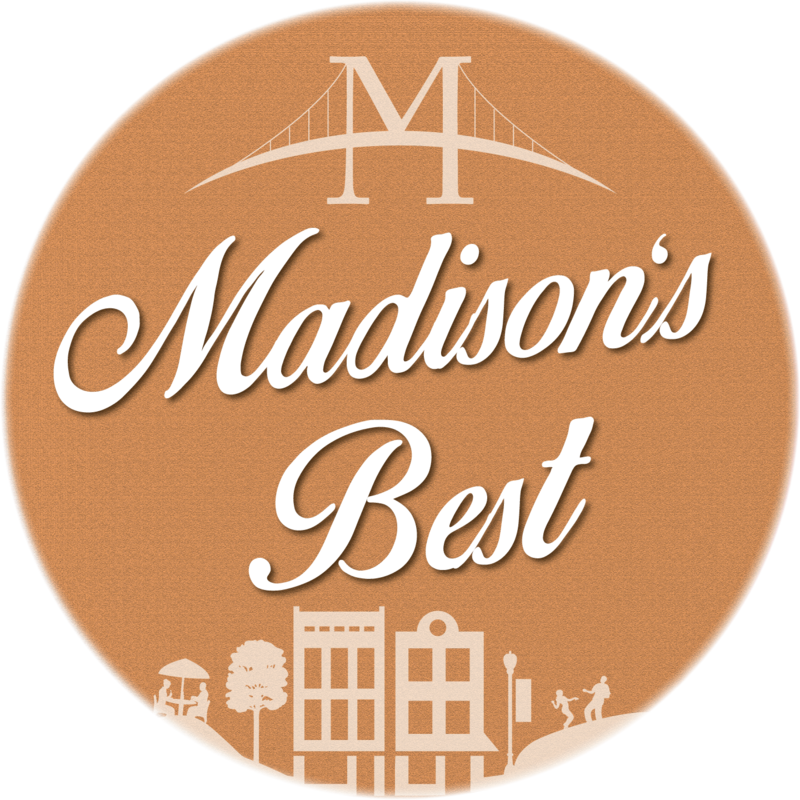 Founded in 1924, the Madison Area Chamber of Commerce is a member-driven organization that connects businesses with the support and resources to develop, sustain, and grow. A strong chamber of commerce equates to a vibrant business climate and a secure community. 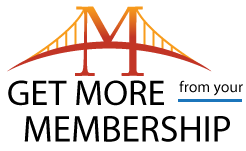 The Madison Area Chamber of Commerce has grown to represent the interests of over 400 area businesses. The Chamber is a place for all who share in the desire to improve the community and the conditions under which business is conducted. It directs the energies of those who believe that a community worth living in is a community worth improving. An investment in the Chamber is an investment in the health of the local economy and improves the quality of life for everyone. Investment returns include an exclusive member referral service, promotion in our online Business Directory, networking opportunities, business education, a voice in business issues, and much more at an affordable price. Who should join? Businesses, Non-profit Organizations, Civic Groups, Clubs, and Individuals can all join the Chamber and take advantage of member benefits. Rates vary. For more information on membership and its benefits, click here. Ready to join the Chamber? Click here. 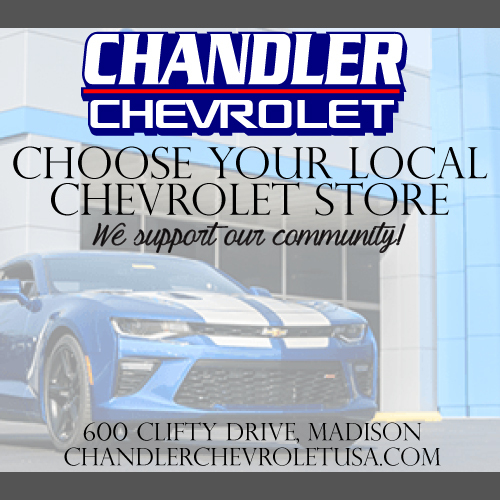 Want to stay up to date with the Chamber? 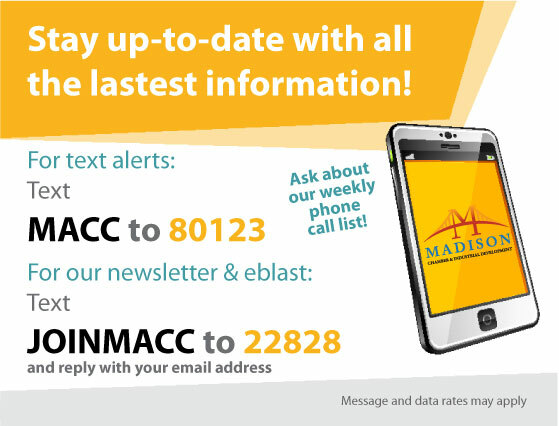 For current information on Chamber Events and Member news check out our newsletter! 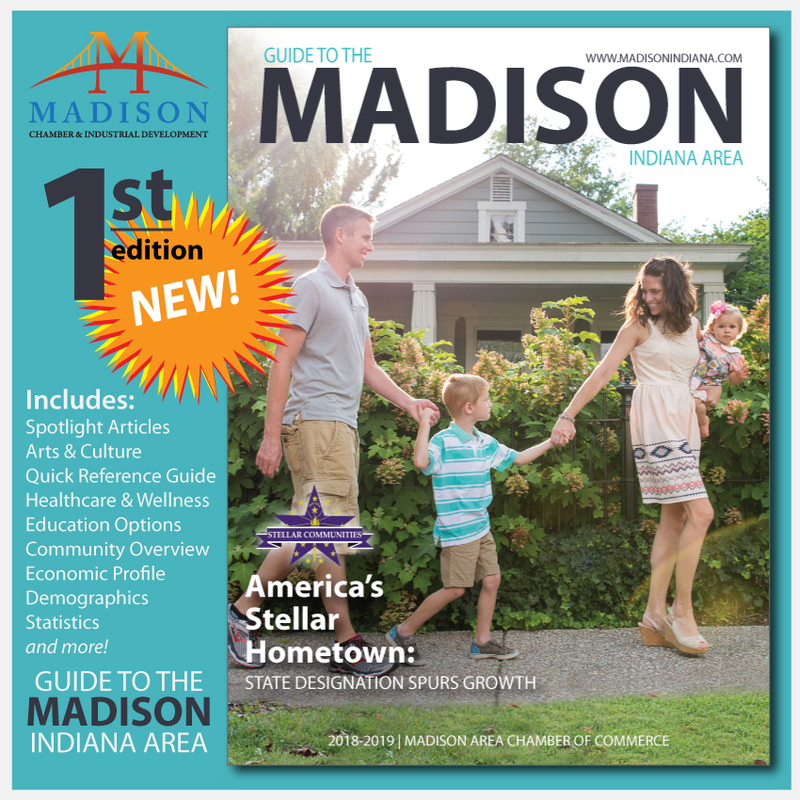 To subscribe to our weekly Eblasts email info@madisonindiana.com. This all-new tiered membership system will allow for more consistent and fair distribution of Chamber services while continuing to provide businesses with amazing benefits and resources. Your membership is your choice, so we’ve created four investment levels so that you can select the level that works best for you and your business. We have also altered our Sponsorship Guide to include packages. These packages will give you a discount and ensure your business has exposure at all of the Chamber's major events. You may still choose individual sponsorship opportunities a la carte. We had 93 different rates for membership. Dues haven't kept up with inflation. New benefits for higher levels! Ready to renew your membership? You can opt in to the new dues system at any time. We'll help you through the process. You can either wait until you receive a renewal request in the mail or follow the link below to get started now! 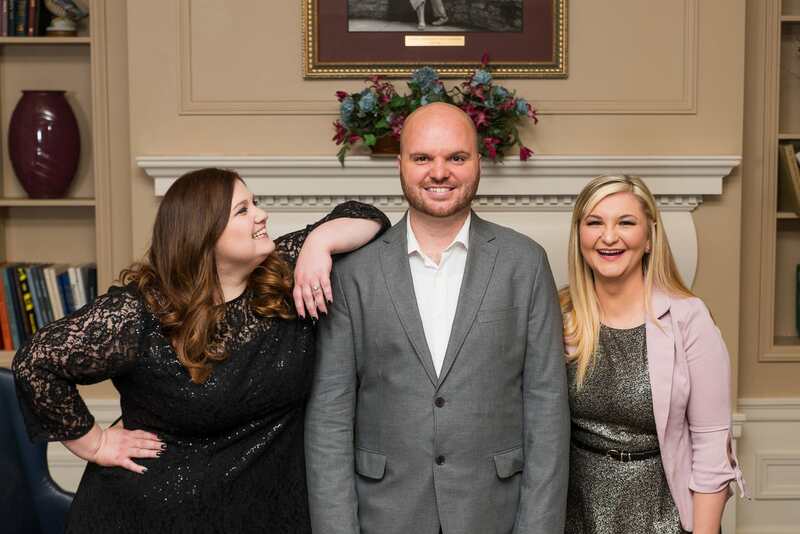 WE ARE YOUR COMMUNITY CONNECTION!